Sometimes, starting a project with a new microcontroller is a very hard job. You don't have an idea where to begin and some example code would help very good. For this reason, i created a short description for setting up the required tools and compile / flash some sample code for the Renesas H8S/2329 microcontroller using the GNU GCC compiler. 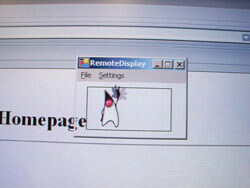 Using few external components, the PC Remote Display takes screen shots of parts of the Windows PC desktop and displays them on a graphic LCD module. The system is designed around the ZiLog eZ80F91 microcontroller. 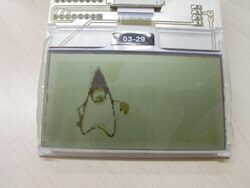 This project was sent to the Circuit Cellar ZiLOG 2004 FLASH NETS CASH Design Contest. I found this very interresting circuit on the internet. It works perfectly! When the circuit is taken under very bright light, it takes some time to load the big capacitor. Then it flashes continuous every 2 ... 3 seconds. 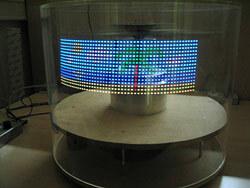 It's amazing :-) The LED is used as a "solar panel" and for flashing. 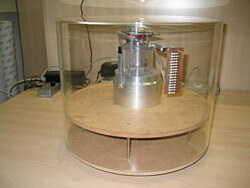 On the internet you can find many projects like this, which develops a propeller clock. 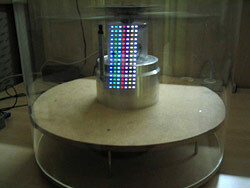 My idea was, to develop a universal, spectaculary, colorful LED propeller display. This project consists of a small terminal with LCD display and radio transmitter to write the desired text and the Propeller Display itself. After editing the text and choosing the images to display, you can transfer the data wireless to the Propeller Display. 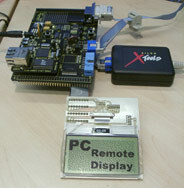 This project was sent to the Circuit Cellar Renesas H8 Design 2003 Contest.